Spanning almost 1.7 kilometres, and split between Zimbabwe and Zambia, the mighty Victoria Falls can be seen from both sides of the Zambezi River and has two entrance gates. The beautiful Victoria Falls is located within the Victoria Falls National Park (on the Zimbabwe side), and the Mosi-Oa-Tunya National Park (on the Zambia side), which means that for you to see the entire length of this the largest waterfall in the world, you will need to enter via two gates in two different countries. 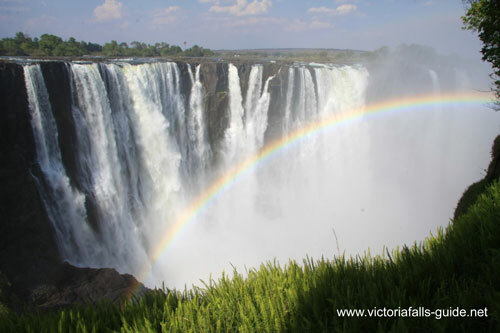 However, people will generally choose one Victoria Falls entrance based on which country they are staying, and/or the time of the year they are visiting (visit our Victoria Falls Weather page to read about the seasonal changes). 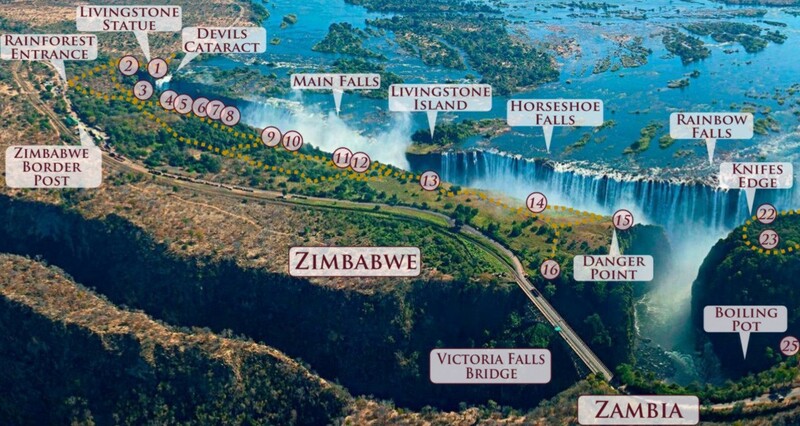 Choosing which country to stay in is an important decision for various reasons, please read our Zimbabwe vs Zambia page to read about the pro's and cons of each side, but at this point it is worth mentioning that 75% of the Falls are viewable from Zimbabwe and 25% from Zambia. The two entrance gates are close to both border posts, with the Victoria Falls Bridge connecting them. Apart from these two entrances the only other way to see the Falls is from Livingstone island, from the air, from below either rafting or a boiling pot hike or a small section from the bridge. If you book a guided Tour of the Falls, you will have no problem getting there because your tour operator will pick you up from your hotel/lodge. But if you want to do a self guided tour, then you will have to make your own way there. So how do you get there and what can you expect? A taxi costs about US$5 to US$10 to get to the Victoria Falls entrance, dependant on the distance your lodging is from the gate. However, if you are staying at Kingdom Hotel, Victoria Falls Hotel, Ilala Lodge, N1 Hotel or Explorer's Village, it is a 10-minute walk to get to the entrance on the Zimbabwe side. Avid walkers can walk from the bed and breakfast lodges about 3 kms from the entrance, although we do not recommend this during the hot summer afternoons. 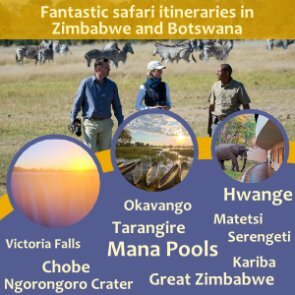 Some hotels such as those on the Victoria Falls Safari Lodge complex, Cresta Sprayview Hotel or Elephant Hills Hotel have hourly shuttle buses which you can hop on to get there and back, at no extra cost. You should discuss the pickup times with your driver. When you arrive, you will find a parking lot and curio market on the right side of the road, as well as a few vendors selling cold soft drinks and water, snacks and ice-cream. If you wish to rent or buy a poncho, you can do so at this market. The entrance to the rainforest is on the left side of the road. You will need to check in at the booth on the left of the gate, produce your passport or identification card (if you are SADC or Zimbabwean), and the parks cashier will let you know the charges. 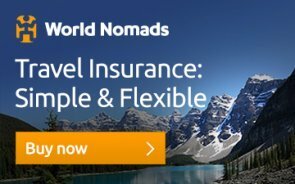 This payment covers a single entry to the Victoria Falls. So if you decide to exit, you will need to pay again to re-enter. Payment can be made in cash or via credit/debit card - (MasterCard or Visa). 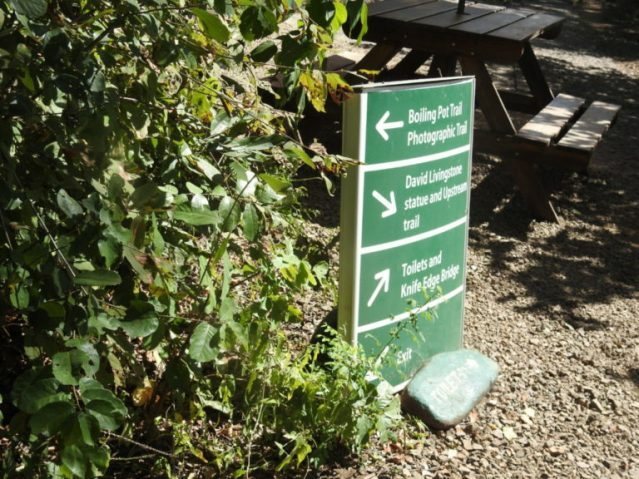 Once you have paid your entrance fees, and entered the park, you will see in front of you an information centre with maps and information on the Zambezi River, Victoria Falls and it's formation. There is a nice curio shop just beyond and to the right is the Rainforest Cafe, which serves very good light meals and lunches and has restrooms. 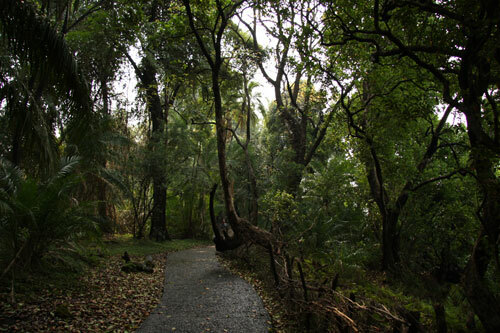 You will notice a clear cobblestone pathway leading from the entrance gate to viewpoint #1 and from there the paths are easy to follow all the way through the rainforest. At some of the viewpoints, there are rudimentary barriers for your protection but towards the eastern end of the Falls there are no barriers at all, one has to be very careful at these points for obvious reasons. Rudimentary stick barriers at the rainforest viewpoints - these tourists are not taking much notice! On a guided tour of the Victoria Falls, your guide will take you around the different view points, sharing in-depth knowledge on the waterfall and it's history, beginning a viewpoint #1 and Livingstone's Statue (see the map below). If you are touring on your own, which is quite easy to do, it's easiest to start from there as well and work your way eastward. See a breakdown of the different viewpoints here. The park has early opening hours, which during some times of the year (February to September) allows you to catch the sunrise from inside the park. This is a highly recommended, as not only is it a spectacular sight but the park is often very quiet at that time of day and you can end up having a natural wonder of the world all to yourself. Specialised sunrise photographic tours are also available. During the morning the rainbows are excellent over Devils Cataract as the sun is behind you looking east to west, but the best time to catch rainbows in the perfect position over main falls is between 2pm and 4pm (pictured below). These are the classic rainbows as seen on postcards. Specialised photographic rainbow tours are also available, whereby the guide knows the position of the rainbows throughout the year and can guide and place you in the perfect spot at the right time. Main Falls with perfectly positioned rainbow. Picture taken at 2pm. During the middle of the day the sun is overhead so the rainbows are not clearly visible and would only be seen right at the bottom of the gorge. After 4pm the sun is getting a bit low and the rainbows are high in the sky or not visible at all and shadows are starting to be cast on the Falls themselves. Although it's a magical time of day, if you are only visiting the Falls once then don't go in after 4pm as you are not seeing them at their most glorious. The best place to view the late afternoon is from Danger point (#15) but remember that the gate closes at 6pm and you are at the most furthest point from the exit gate, so allow enough time. You will not be able to watch the sunset from this point, as there is just not enough time. If you want to make your own way from Livingstone, you can catch a taxi, this will cost about K100 (approx. $10). If you are staying at Avani or the Royal Livingstone Hotel, you have free access to the Victoria Falls and it is an easy walk through their own exit gate which is right by the verification gate to the Falls. 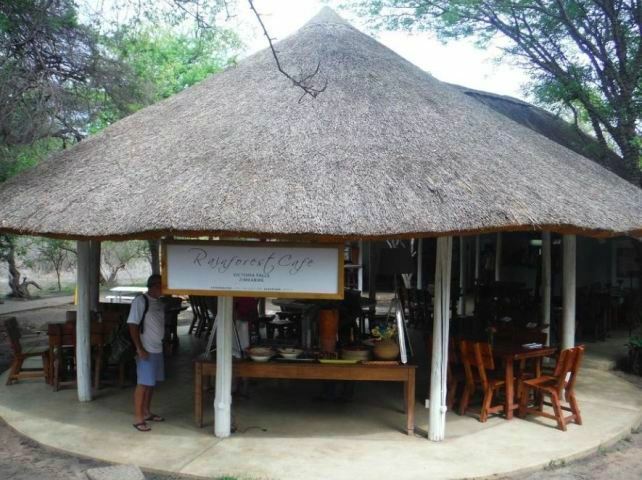 Guests at David Livingstone Safari Lodge, Tongabezi Lodge or some of the lodges in Livingstone town can use the shuttle service provided by the hotel. 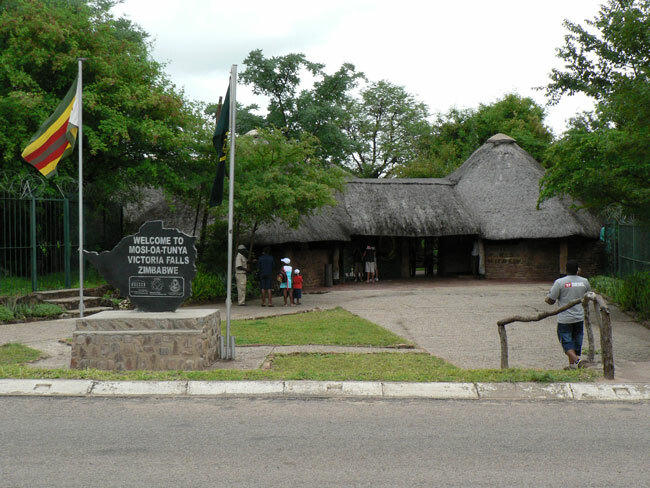 The entrance to the Zambian side of the Falls is about 50m before the immigration post, if coming from Livingstone and is a small building (pictured above) where you pay the entrance fee and get your tickets. 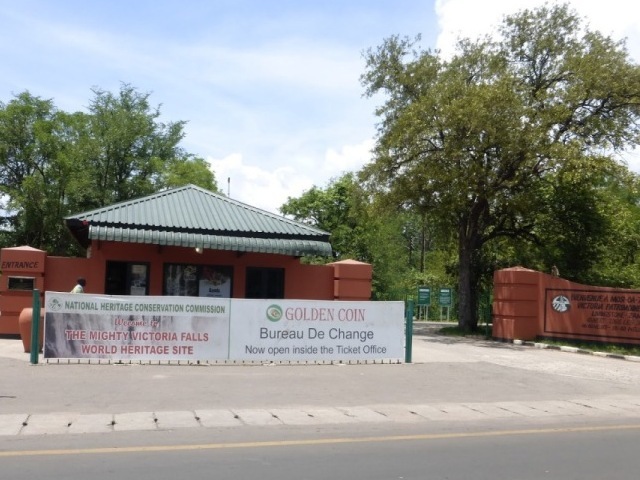 As with the Zimbabwe park, your entrance fee will afford you only one entry, so if you exit the park, you will have to pay again for re-entry. 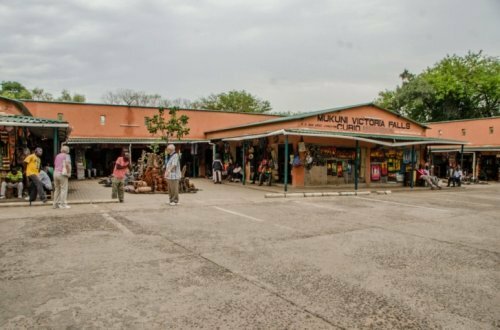 The road bears to the right and in about 50m you will see a large curio market selling Zambian souvenirs (pictured below). Raincoats/poncho's are also available for hire here. There is also a lack lustre cafe for a snack and refreshments. Another small gate, where you show your tickets, allows you entry to the Park itself. 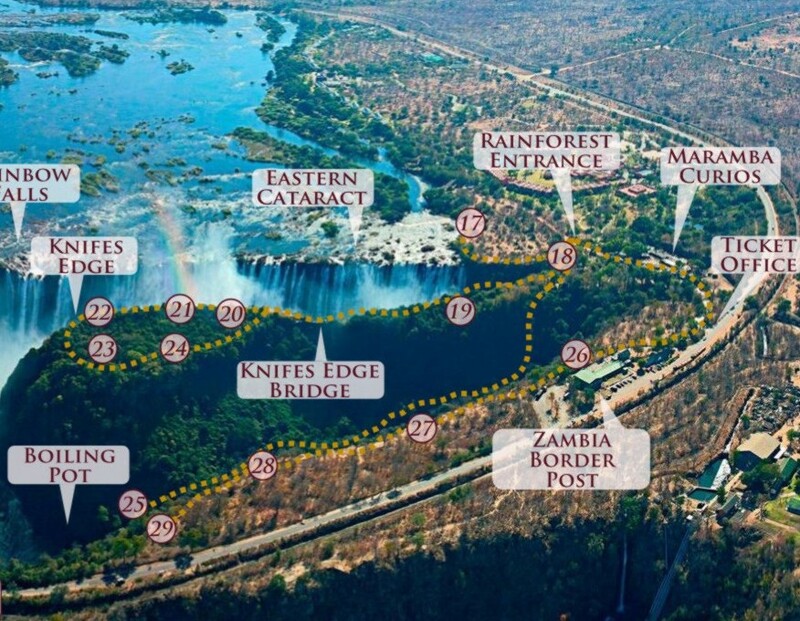 Once you have entered the park, you will find a selection of clearly marked pathways taking you to different sections of the Victoria Falls, including viewpoints of the Victoria Falls bridge behind and Zambezi River below. 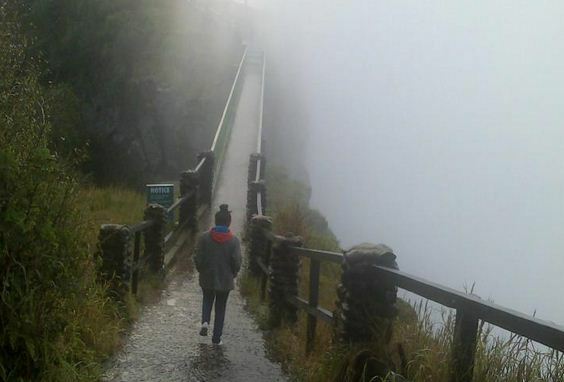 The Knife's Edge bridge (pictured below) is a footbridge which spans a deep gorge and affords you access to the western most viewing point on the Zambian side. From this bridge, you can see the full view of the Eastern Cataract, except during the peak flow months when the spray obliterates the view completely. The Boiling Pot trail takes you on a steep descent into the Boiling Pot, and another path takes you upstream close to the edge of the Falls, looking onto the Zambezi River before it plummets over the edge and into the gorge. 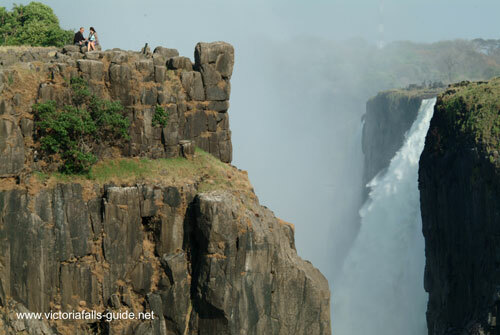 Please be aware that during the months of late September, October, November and even early December (if the rains are late), the Zambian side of the Falls, also known as the eastern cataract are completely dry, there is only an impressive dry rock face. 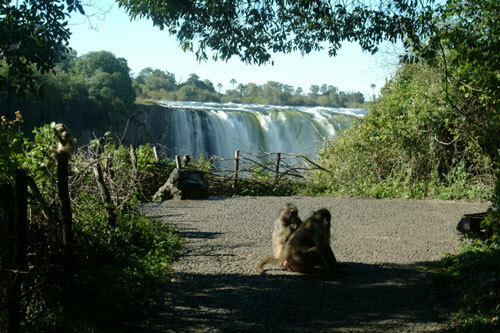 During these months it is important to view the Falls from the Zimbabwean side and/or Livingstone Island. During the peak flow months of February, March, April and May, because the gorge is narrow and the paths are so close to the Falls, the incredible volumes of spray can obliterate the view. It is advisable during these months to also view the Falls from above either in a helicopter or a microlight. Sunrise is always a magical time to be up and about. At this time of day the light is beautiful and it will be very peaceful and quiet, however unlike the Zimbabwean side, because the the lay of the land and movement of the sun, you don't get to see the sun rising above the Falls, except for a short period, from certain angles, in June and July. Mid-mornings and mid-afternoons are both good for Rainbows, as you can view east to west in the mornings and west to east in the afternoon. Midday is the worst for rainbows as there is very little angle for the sun to create them, however the sun is bright and you can see deep into the gorge. As mentioned earlier though, in the dry months there is just a dry rock face so no rainbows are visible at all. In the peak flow months there is so much spray it is difficult to see anything except from the viewpoints just as you enter the park and those going upstream. One of the Zambian sides great advantages over the Zimbabwean side is that the exit gate is close to 1st view point, so you can watch the sunset over the Victoria Falls and still exit the park before the gate closes. For several months of the year the sunsets directly down the length of the Falls which is a spectacular site. Check out the Photographers Ephemeris website for which months. 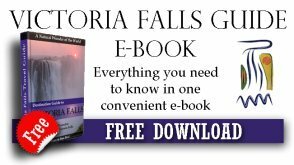 The Victoria Falls is essentially a safe place as long as you use your good judgement and don't break the rules or do anything silly..
• There are wild animals in the Victoria Falls National Park, and that includes the rainforest. While there aren't any common predators, you may come across the more nervous species such as warthog and bushbuck, or the cheeky monkeys and baboons (hide your food!). Be sure to keep your distance and never feed the animals. Keep an eye out for snakes along the path as well but generally they are more scared of you than you are of them. • Stay on the designated paths at all times. • The barriers along the way are there to keep you safe, so do not cross them. Beyond the barriers, you risk falling down a sheer cliff. • Make sure that you have a protective kit for your cameras and passports because you will get wet while walking through the rainforest. • Some spots along the path are slippery and are at a gradient, so wear shoes that have good grip and are comfortable to walk in. You will be walking at least 2kms from point #1 to the edge near the bridge, so avoid anything too tight and/or heavy. • At Danger Point, there are no barriers and during high water season, the rocks are very slippery. Exercise extreme caution at this point of your tour. 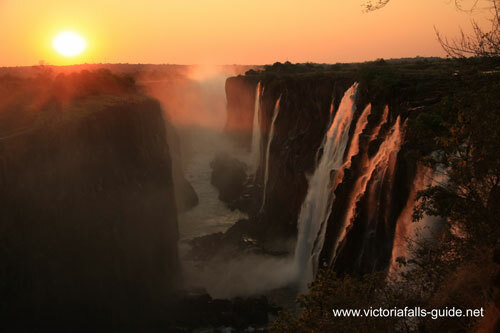 • Like all nature reserves, Victoria Falls National Park is protected area. Therefore, you are not allowed to take samples of the natural habitat. Take nothing but photographs, and leave nothing but footprints. • Don't use Drones, if you are caught you will face a hefty penalty and a lot of red tape.